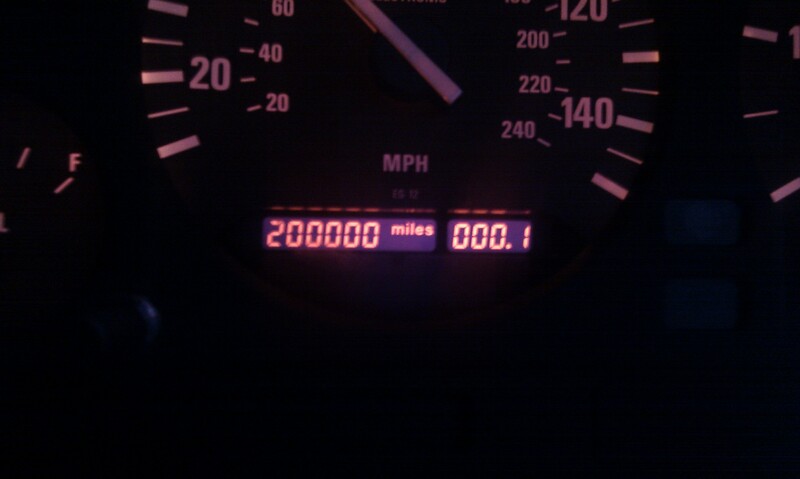 The other week the car finally ticked over 200,000 miles. I had reset the trip counter when it had ticked over 198,000 in anticipation of capturing 199,999 999.9 and then 200,000 000.0 but the counter and odometer seemed to have a funny moment when it ticked over 200,000. Bearing in mind it had been spot on in sync for the last 2000 miles, when it came to 199,999 999.9 the trip counter ticked over to 000.0 but the odometer stayed put at 199,999 for an extra 0.1 of a mile! 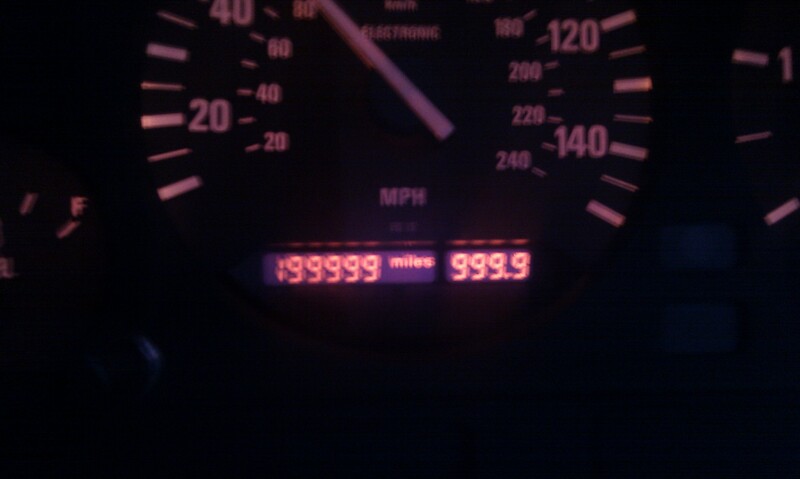 It literally paused until the trip counter ticked over to 000.1 until ticking over to 200,000! Still going strong though... front bushes still need work... need to replace those final lower control arm bushes for good ones. Got some in the post to do soon.